There are common factors to every RTS game. Resource management, throngs of onscreen units, base-building, gratuitous LMB clicking… but the beauty of the genre is that every game marches to the beat of its own drum. Even subtle changes on the traditional formula, hammered out in the mid-1990s by Westwood and co, can have profound effects on the way you play. That means if you want to dominate the battlefield right from the very first LMB-click, you need to know some particulars about Ancestors Legacy. Each of the four factions in Ancestors Legacy has its own unique units, in keeping with the real-world history of that nation. Viking Berserkers and Shieldbearers reflect the nation’s prowess in hand-to-hand combat, and its development of the battle axe and shield. Anglo-Saxons are handy at range thanks to their Longbowmen and Slingers. Meanwhile the Holy Roman Empire and Slavs favour Mounted Cavalry, bringing a more substantial presence to battle at the cost of increased upkeep demands on their economies. While every nation has a selection of broadly comparable units - ranged and melee with various traits, the specifics of their unique units make for interesting matchups. Like many strategy titles, there’s an element of ‘scissors, paper, rock’ here. While a couple of these effects can only go in one direction - morale boost is always positive, for example, while movement blocked and retreat blocked are necessarily only negative - all the other modifiers can increase or decrease your squad’s stats. It’s vital to position your units on advantageous terrain in Ancestors Legacy. It determines the reach of your melee and ranged units, and also offers stealth options. Units can hide in bushes, high grass, or forests, and will stay invisible even while attacking as long as the enemy isn’t in direct contact. In other words, you can pelt arrows at an unsuspecting opponent indefinitely without blowing your cover. Only when they actually reach you is the invisibility removed. Total War fans will know how important squad morale is in battle. In Creative Assembly’s series units will rout if their morale depletes, and its similarly important here. It works a bit like a second health bar - if either of them are emptied, you’ll get no more fighting out of that unit. Also like Total War’s mechanics, launching an attack from the rear or flanks of an opponent hurts their morale and gives you an attack bonus. Other aspects that affect morale are units being outnumbered, and friendly fire within an army. Be careful with those arrows. 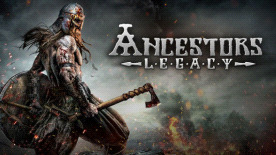 The fearsome Vikings of the Northern Kingdoms, the canny Anglo-Saxons, the formidable Holy Roman Empire and proud Slavs to the east all come together in Ancestors Legacy dramatic gameplay. 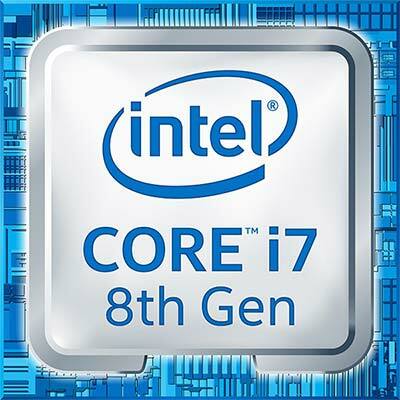 Find out more about each on in our Intel Feature. Find out more about the historical backdrop for Destructive Creations’ tactical RTS Ancestors Legacy as we delve into the Medival setting that provides the game its dramatic backdrop. Who’d win in a fight between the Vikings, Anglo-Saxons, Holy Roman Empire and Slavs? Discover for yourself in Ancestors Legacy Multiplayer battles!